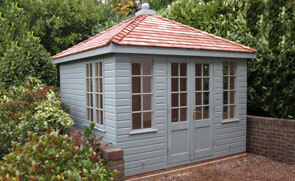 This beautiful 4.2 x 4.8m Garden Room was recently installed for a customer based in Stokenchurch, Buckinghamshire. Delivered and installed by our expert, in-house fitting team, the building was designed and built by hand at our Norfolk factory using only FSC® certified timber. 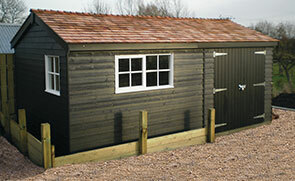 This attractive superior shed was recently installed for a customer based in Stokenchurch, Buckinghamshire. Just like the rest of our high-quality, FSC® certified timber buildings, delivery and installation is included as standard. 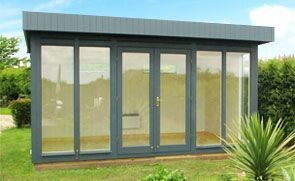 A 3.0 x 4.8m Burnham Studio with a partition, this split-use building has been installed in our customer’s garden in Chesham, Buckinghamshire to use as both a garden storage area, as well as a quiet reading and writing room. 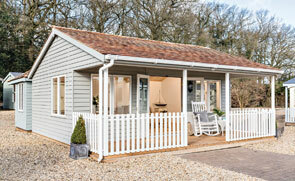 This simple, chalet-style garden building is our Blakeney Summerhouse, and it has been installed in our customer’s garden in Aylesbury, Buckinghamshire to use as a sheltered garden retreat to sit, relax and enjoy their garden from in comfort. Our Salthouse Studios can be used for a range of reasons, including a garden office, hobby room or a garden retreat: this one has been installed in our customer’s garden in Amersham, Buckinghamshire to use as a garden office with the extra use of a storage partition.